A completely revised and updated values-based guide to navigating the first year of college that speaks to college students in their own language and offers practical tools that readers need to keep from drinking, sleeping, or skipping their way out of college. 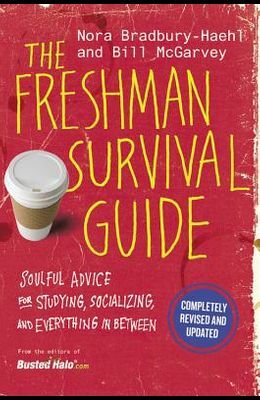 In the four years since its initial publication, THE FRESHMAN SURVIVAL GUIDE has helped thousands of first year students make a successful transition to college life. However, much has changed on campuses. The explosion of technology, ubiquity of social media, and culture changes have all added new layers of complexity to the leap from high school to college. THE FRESHMAN SURVIVAL GUIDE's updated edition features new research and advice on issues such as mental health, sexual assault, and finding balance. It also features expanded sections on dating, money management, and an increased focus on how the over 1.5 million incoming freshman can prepare themselves for the biggest change they've encountered in their lives: heading off to college.